We are now in the early stages of a full blown energy crisis that was predictable if not wholly avoidable. Politicians are awaking to the crisis now that escalating energy costs make its existence plain to see. It is highly unlikely that politicians will now grasp the gravity of the situation that the OECD and rest of the world faces and the responses will likely be ineffectual and too little too late. 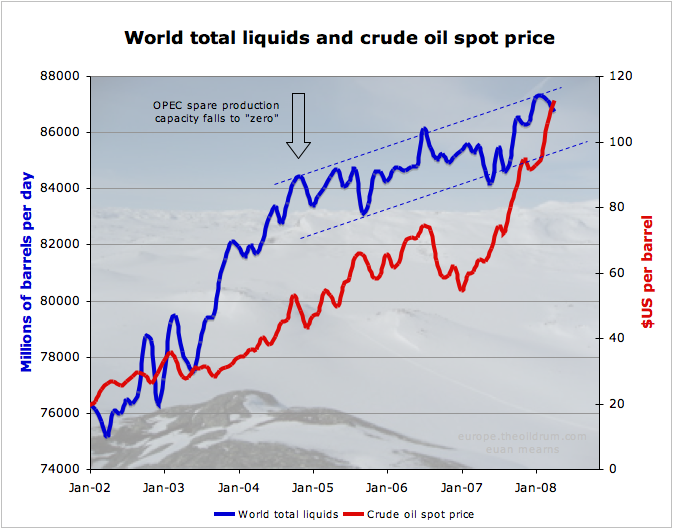 The principal reason for current high oil price is the proximity of a peak in global oil production. Politicians must understand this and then grasp that natural gas and coal supplies will follow oil down by mid century. Reducing taxes on energy consumption right now is the wrong thing to do. Taxation structure needs to be adjusted to oblige energy producing companies to re-invest wind fall profits in alternative energy sources on a truly massive scale. Energy efficiency should be the guiding beacon of all policy decisions and this must apply equally to energy production and energy consumption.